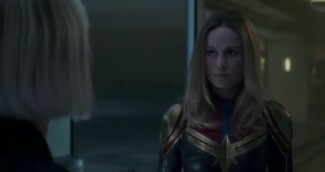 We already know that Carol Danvers is joining the fight in Avengers: Endgame but we have yet to see Captain Marvel in action in the film's trailers. Luckily, a new promo for the Marvel Cinematic Universe flick shows Carol in her binary form. The promo is being shown as a quick advertisement on social media and has yet to be given a proper release. 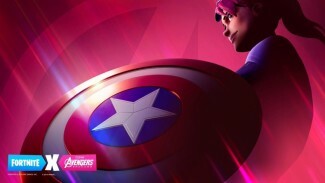 Nevertheless, the Endgame promo is getting people excited because it features Carol looking back at an unseen companion as she begins to glow. Watch the video below. There's another awesome moment as well as Rocket Raccoon asks his companions who hasn't been to space. You can see Captain America, Black Widow, and War Machine raising their hands and Rocket has a stern warning for them: "You better not throw up in my ship!" This is followed by a brief shot of Clint Barton laughing. Captain Marvel fans are in for another treat at the end of the promo. There is a longer shot of Carol in full binary form flying through the air. It's no secret that Captain Marvel is currently one of the most powerful heroes who can easily take on Thanos and the trailers have made sure fans know she is ready for the fight. The clip from Endgame reveals that Carol immediately tells the survivors that they should go after the Mad Titan so they could make him reverse the snap that decimated half of the universe.